Cut your 1st piece of CS 2 1/2" x 11", Score at 2 1/2", 3 1/2", 7 3/4" & 8 3/4"
Cut your 2nd piece of CS 2 1/4" x 6 1/2", Score at 1", 2", 4 1/2 "& 5 1/2"
So cute and love that whale of an stamp!!! CUTE tissue holder too. Ooooh, what a darling gift set, Shannon...perfect for someone who isn't feeling well!!!! 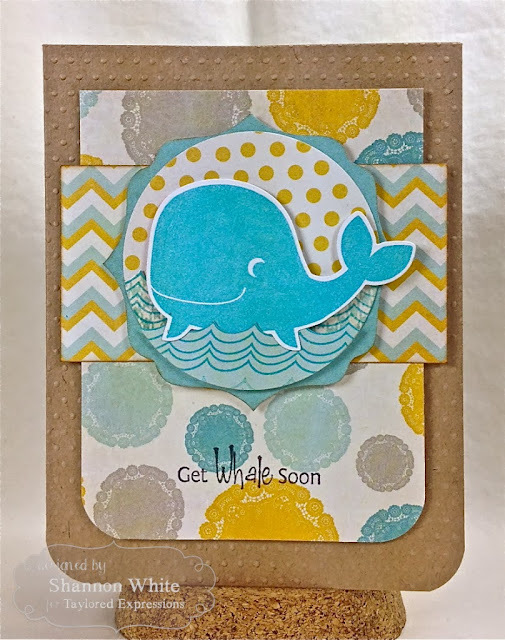 Love the colors and papers you used and the little blue whales are soooo sweet!!!!! 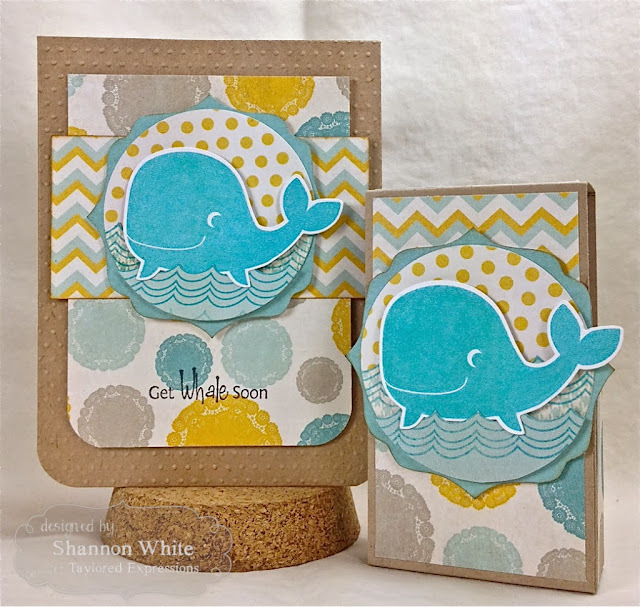 Cute projects Shannon! What a fun little whale! Love the texture! So adorable, Shannon! I love the tissue pack holder. This would make a very cheery "I care about you" pick me up for a sick friend. What a darling gift set, Shannon! 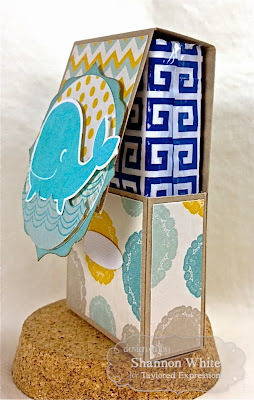 Love the sweet tissue holder - wonderful pick me up for an ailing friend! Ohh, l could use this right now! Great idea to make the tisseu holder! Love the sentiment! Oh my goodness your little set is SO cute! What a special way to present a pack of tissues. Just adorable!